This quote from George Westerman, a leader of MIT’s Initiative on the Digital Economy, sends a clear message that good enough is no longer good enough. CIOs who still feel their primary job is to maintain the systems of record (SOR) that “run the business” are viewed as just average. 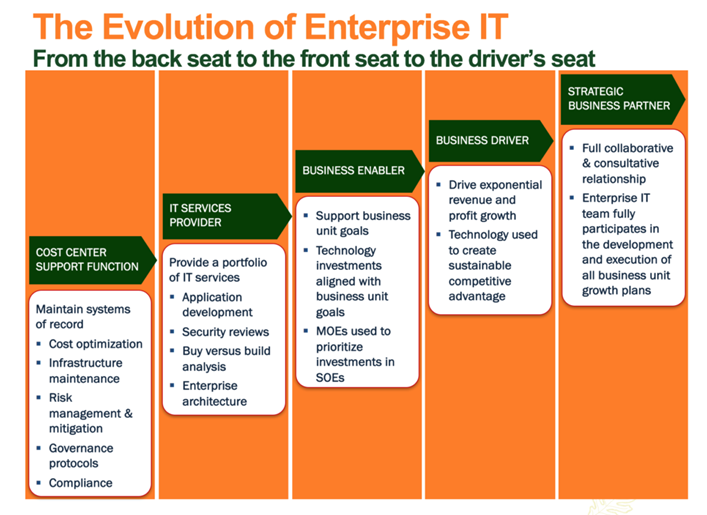 While CIOs who develop and deploy systems of engagement (SOE) and systems of intelligence (SOI) that “change the business” are seen as making a critically essential contribution to the future competitive success of their organizations as digital enterprises. To be perfectly clear this is not an either-or proposition but rather a both-and proposition. The key is to reverse the way IT resources are allocated. What does average look like? 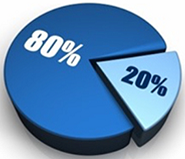 Most IT budgets still allocate 80 per cent of their resources to running the business and 20% to changing the business. The emerging reality is that every dollar invested in SOR-support systems and software produces a diluted return to the company in terms of competitive differentiation. The reason being that 95% of the lifetime value of these investments has already been received. As such, they no longer deliver competitive differentiation. By contrast, every dollar invested in SOE and SOI systems and software offer a much higher revenue and profit stream because they will be the primary source of future competitive advantage in the new digital era. To go from average to great you have to start by redeploying IT resources away from low value / low return activities to high value / high return activities. Historically IT has been viewed as a cost centre support function whose primary responsibility is to build and maintain secure and stable platforms and tools that “keep the lights on.” While it is still essential to securely maintain these systems of record, in the new digital era it is now a competitive imperative that IT evolves into a business enablement role that leverages digital technology innovations which deliver increased revenues, margins, and profits. Simply put, IT has to move from the back seat to the front seat to the driver’s seat. What are some CIOs doing to be great? How do you optimize new value creation? How do you optimize processes that make it easier to onboard customers and provide customer support? Vijay Sankaran, CIO at TD Ameritrade, says that for him and his IT team “…design thinking is huge. It has become a critical tool in the pursuit of roboadvisers, chatbots and other customer-facing technologies intended to drive revenue growth.” Design thinking has helped Sankaran’s team visualize the client experience for applications they are building so they can fully understand their value along all the different customer touch points. What can you do to assess where you stand today? 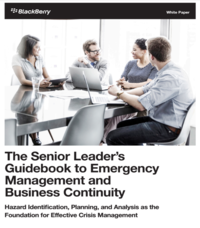 A good starting point to assess where your IT team stands today is to conduct a trapped value audit. This audit starts by determining what percentage of your IT resources and budget are allocated to run the business functions in the left-hand column in the chart below versus change the business functions in the right-hand column. Once you’ve established your resource allocation baseline, you can then begin a systematic review of how you can redeploy resources and budget from the left-hand column to the right-hand column. I am currently working with a CIO and his senior leadership team who have made very measurable progress moving their resource allocations and budgets from 76 per cent – 24 per cent to 60 per cent – 40 per cent in just one year. What do you want the IT brand to stand for in your company? While each CIO’s journey from average to great may take different paths, it seems clear that they all start with the recognition that good enough is no longer good enough.